Despite decades of prominence in the coin-operated industry, pinball manufacturing nearly went extinct in the new millenium. With dwindling interest in location play from gamers who were turning to home consoles, cell phones, and media in the home, operator profits plunged and many exited the scene entirely. With less demand from operators, distributors saw their sales decline year over year. A growing collector community and used consignment sales managed to keep some doors open for a shrinking number of distributors, but times were tough. Year after year, Stern continued to release pinball machines in an effort to keep the industry alive. Despite these leans years, pinball manufacturing lived on through Stern Pinball’s efforts. Stern took pride in being the “last manufacturer of pinball in the world.” It was all for good reason too. Every other pinball company had closed their doors and held no more interest in pinball manufacturing. Times were lean, but Stern was stubborn and committed to sticking it out. While the hobby might have contracted in some ways, the collector community stayed put, and even started to grow. As operators retired or went under, collectors bought their routed machines and put money, time, and effort into bringing these battered machines back into playable, and in many instances, like new status. Games began to disappear from route only to appear in collectors’ homes, and what new games Stern produced, the collector community did their best to support them. Stern didn’t save pinball. Stern AND collectors saved pinball. It shouldn’t be minimized what Stern did for pinball, however. They did keep a flow of new games coming out, and they kept designers and artists employed. But looking back, Stern fails to give credit to the fans of pinball that stuck out the lean years with them. Collectors put money into games that were devoid of flashy features or interactive toys. Art on games was terrible. Game code was often left unfinished. Collectors understood, and they adjusted their expectations appropriately. Now that pinball has recovered and we’re back to seeing fully featured games, beautiful art packages, and code that is deep enough to satisfy picky tournament players, Stern seems to have forgotten whose money fueled the hobby’s rebound. Even worse, Stern has morphed into a downright arrogant, tone-deaf, and at times hostile company towards their longest standing fans. Just a few short years ago, Stern was begging for the collector and operator to stretch themselves and give Stern’s games a chance. 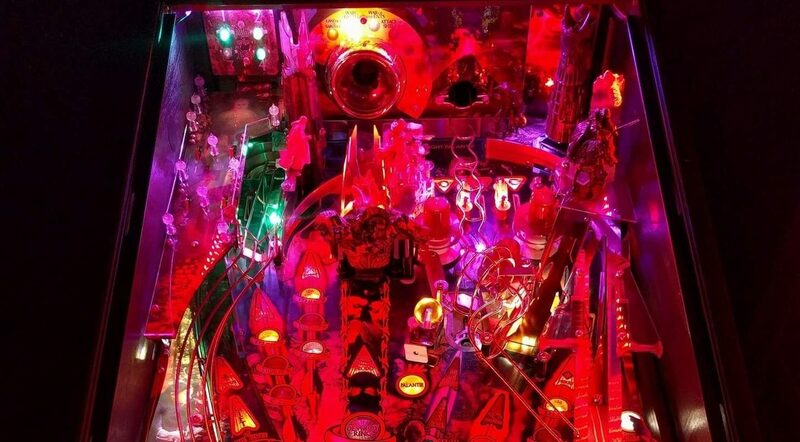 These days, Stern Pinball has stopped asking for support and his turning their fans upside-down to shake every last penny from their pockets. Is this hyperbole? Hardly. Stern’s price increases are severely outpacing inflation. Stern’s quality control has noticeably slipped over the years, and the ever cheapening of components and process is seeing problems with cabinet decals peeling, playfields chipping, electronic components failing, and mechanical failing or acting in unreliable fashion prematurely. You are paying more for a product that is becoming more problematic. Much more. To compound issues, Stern’s attitude towards customer complaints is very abrasive. To engage with Stern about issues is almost like going to battle. If you contact Stern, they tell you to talk to your distributor. Once you talk to your distributor, they tell you that Stern hasn’t told them anything. If you take your complaints to social media, they delete your comments and ban you, even you ask in a polite and rational manner. Stern doesn’t care about you, they care about how many zeroes they can knock off the end of your bank account statement. Batman ’66 is the next game from Stern Pinball. A redesign of their previous release, Batman: The Dark Knight, Batman ’66 ushers in pricing in pinball that has never been seen before. With a Super Limted Edition coming in at $15,000, you would think that this game would have features ready to blow the mind of any passerby or player. Well, no, Batman ’66 brings nothing special to the table. Less featured than the company’s previous release, Ghostbusters, Batman ’66 is a simple cash grab, plain and simple. For added evidence of that, the company was once on record saying that there would only be 30 produced and never a single one more. Well they’re making 80. Not much more about Batman ’66 needs to be said. 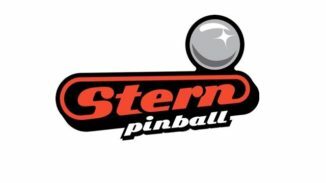 Stern Pinball is the company pinball once needed, but today, Stern’s fans and pinball fans in general deserve better. Companies with higher development budgets, higher quality components, and much smaller production numbers are selling games at a price point below Stern Pinball, and that’s just hard to swallow. For the people that kept Stern alive through the lean years, they’re now treated as nothing but a means to an end; that end being higher margins for Stern Pinball, at any (reduced) cost to the hobby’s overall health. Notice to Stern Pinball: This is still a hobby, not an industry. 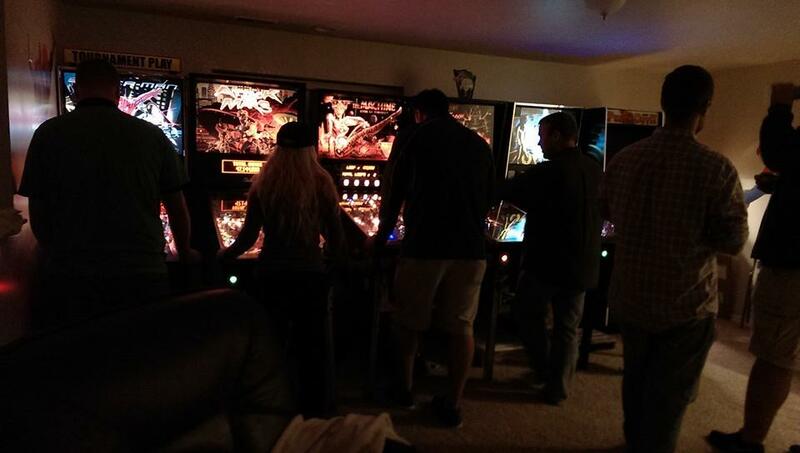 Pinball is not big enough that personal relationships don’t matter. We’re dealing 100% in luxuries here. There’s not a single aspect of pinball that acts as a necessity. When either an economic downturn comes or another pinball maker rises up to legitimately compete with you, don’t look to the collector to bail you out again. Bridges are burning, and you’re running out of time to send in the brigade. I want Stern Pinball to succeed, but not like this. I’ve reached the end of my patience with Stern. I understood the lean years and the cost cutting back in those days. I understood the dodgy communication when resources were limited and staff was kept at a minimum. Today, I can no longer overlook Stern’s antagonistic business practices. Over the years I have purchased multiple new-in-box pinball machines from Stern and many more used Stern games from official distributors. I have sent tens of thousands of dollars Stern Pinball’s way. That’s done. For now, I have bought my last Stern game in any manner that will feed back into their increasingly abusive profit model. I will no longer buy any official merchandise or accessories. I won’t buy any mods that are officially approved by Stern to avoid putting money into their grubby little hands. Until Stern revises their business practices and treats customers with proper respect, I don’t care what the company does, they won’t get another penny from me. I will find other companies to support in this hobby. My hope is that I’m not alone in this. If Pinball Expo 2016 showed us anything, it’s that the pinball market needs a correction, and it’s the market leader that needs to take the first step. For the good of the hobby’s future, it’s time we all send a sign to Stern Pinball that we’re done being exploited. We want to be customers, not a sketchy salesman’s mark. So Stern, you may have kept the lights on in the manufacturing plant, but we were the ones that paid for the electric bill. It’s a shame how easily you have forgotten, or worse, try to ignore that fact. Lets not forget the rewriting of code to mask hardware defects. Now consumers get to play a game that will never play as intended. This is a disgrace and only shows how cheap Stern has become in order to save themselves a few dollars and avoid fixing known issues. Wow, so much misinformation in that ‘article’. What company is building a game cheaper than a Stern Pro? You see misinformation… I see facts put in the form of a pissed of customer. Stern is nucking futz with the quality vs price vs code complete issues. They need to change or someone new is going to eat their lunch. I’m with the author here; a boycott is really the only way to tell them this isn’t acceptable. Until the flow of new potential uninformed buyers slows down and is stemmed through a market stall, the process will continue unimpeded. Any knowledgeable experienced distributor that has remained in business for more than 20 years knows what Stern is doing, but has no vested interest in wanting to explain as it hurts sales. For the long time collectors, we watch, wait, and laugh at the absurdity of today’s market.